Stand alone unit with no need for an additional laptop computer to operate, easy to use and install. Small and compact design, easy-to-read backlit 2-line LCD display, no batteries needed, powered via OBD II cable.? 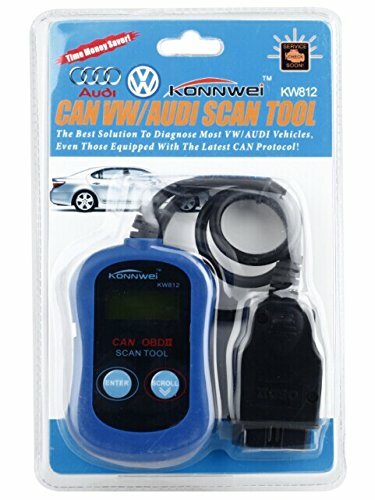 Works with Volkswagen and Audi (Audi/Seat/Skoda/Jetta/Golf/Beetle/Touareg/GTI/ Passat and more). DIGITNOW 22MP Film &Slide Photo Multi-function Scanner, Convert 135 Film/35mm,110Film/16mmNegatives/Slide/Photo/Document/Business card to HD 22MP Digital JPG Files,Includes 8GB Memory Card! Plustek AD480 - Desktop Scanner for Card and Document, with 20 page Paper Feeder and Exclusive Card Slot.